In today’s hectic and hurried world, relaxation is often hard to come by and as a result, our health suffers. Enter into a whole new realm of rest and relaxation with the Avante Cloud9 Ultimate Reclining Massage Chair. Drift into its capsule-like seat and immerse yourself in complete and total relaxation as the supple exterior softly supports your entire body. 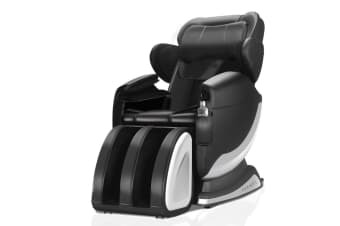 Feel the stress melt away as the Advanced Power-Ball Technology and heating function give you a revitalising kneading massage that simulates the gentle yet firm touch of 14 hands all at once! This combines seamlessly with a system of airbags that provide rhythmed pressure on your shoulders, forearms, buttocks and legs to promote blood circulation and relieve any muscle fatigue. 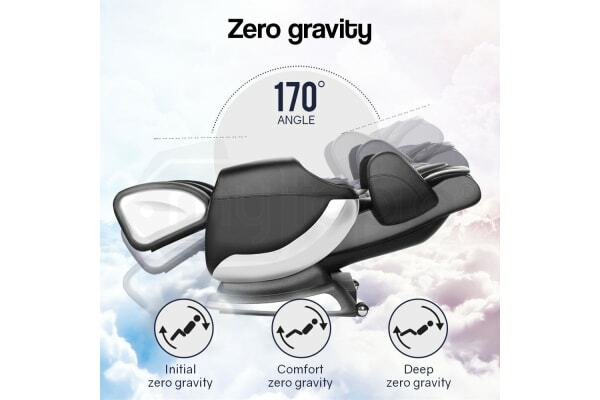 Whether you live a sedentary or highly active lifestyle, you can escape to ‘cloud nine’ and experience the maximum massage effect with the zero gravity function. By returning the body to its natural resting position, the integrated systems can then truly offer heightened relaxation and relief from chronic joint and back pain. This therapeutic marvel offers all this in a package that takes up less than 2 metres, when fully reclined.